I sure miss flowers at this time of year, don't you? But there are the beaded kinds! 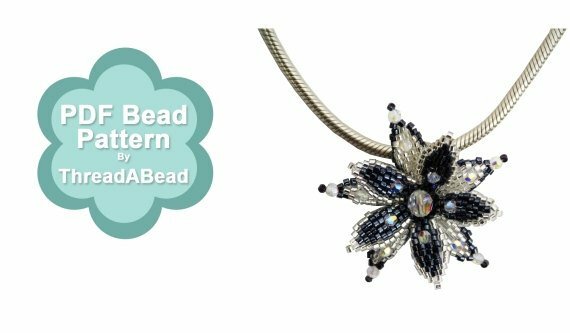 British designer of ThreadaBead has a number of lovely flower tutorials. 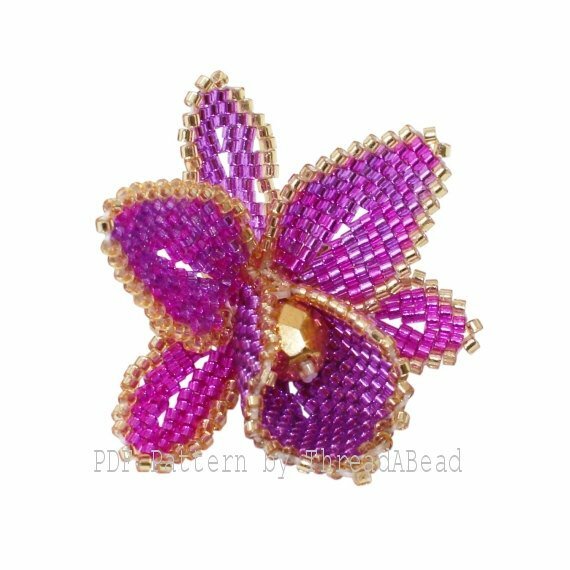 One of my favorites is the orchid flower tutorial shown above. These can be made into pendants or brooches. Her flowers are so colorful - perfect to dress up a winter coat or jacket! 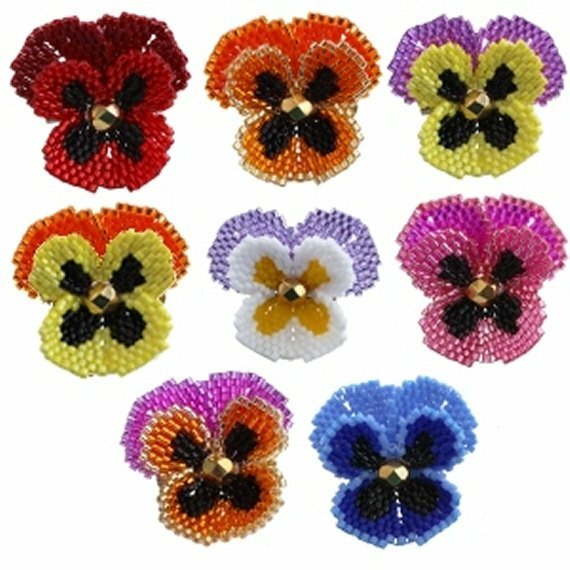 I also love her pansy flower tutorial because you can make it in any color combination you like! Her sunflower brooch tutorial is such a happy looking design! 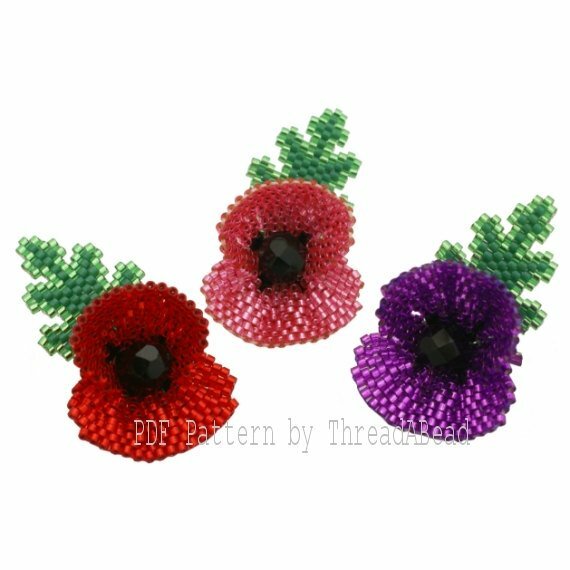 The color we most often associate with poppy flowers is red but they do come in other colors as shown by her poppy flower tutorial. And we associate the poinsettia for Christmas. 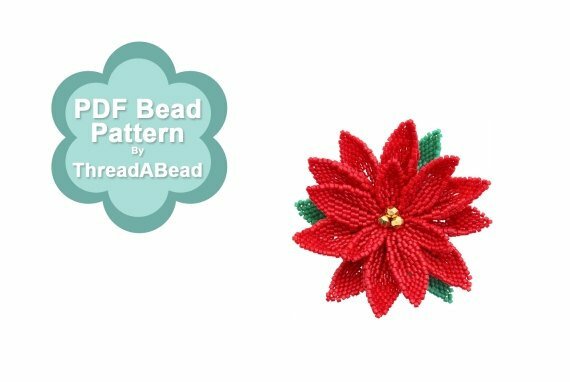 I think her poinsettia brooch design will look great as ornaments too! You have plenty of time to make some up for next Christmas!